Let’s be real, life gets hectic, and especially when we come home after a long day of work, classes or running errands, we want to eat something for dinner that can both be made quickly and that satisfies our taste buds. 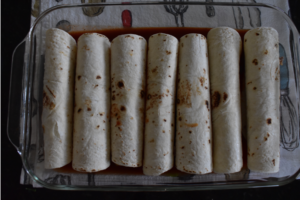 If you find yourself craving some Mexican food one evening in the near future, instead of picking up the phone to order takeout, try making your own enchiladas at home! The versatility of these is part of what makes them fantastic. 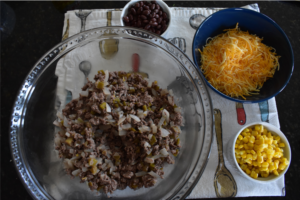 Most of the ingredients I bet you already have in your pantry – don’t have ground beef? Use chicken or turkey! That dusty can of beans in the back of the shelf? Now is the perfect time to use them! Both sauces can range from mild to hot! Enchiladas are freezer friendly as long as stored properly. 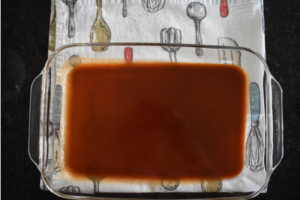 Make it even easier on yourself and put them in a container that you can throw right into the oven when you are ready for them! 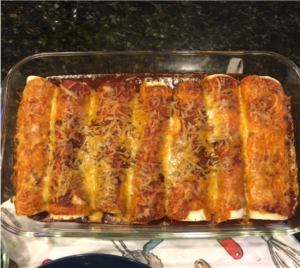 Check out this Beef Enchiladas recipe that will be featured on the next Facebook Live episode coming up on 4/16/19 at 11am with Registered Dietitians Klara and Kaitlin! 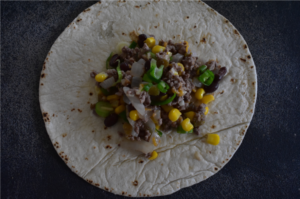 Looking for more recipes ideas and how to meal plan for you and your family? Reach out to us at 301-474-2499 or at admin@rbitzer.com to set up an appointment with on of our Registered Dietitians! Blog contributions by Paige Moran, dietetic intern.